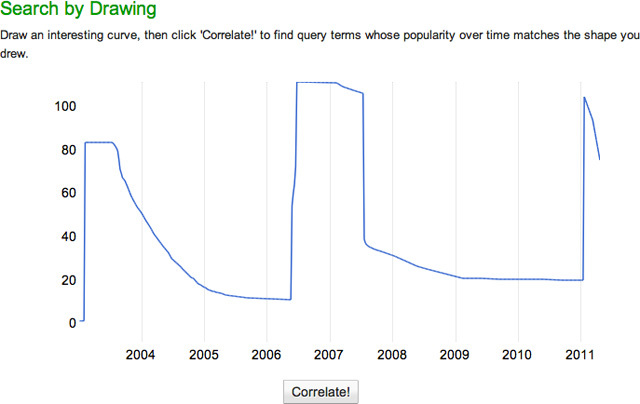 Google announced a very cool new tool named Google Correlate yesterday. It basically allows you to see correlation data over time and by geographic location. You can even upload your own data to it and Google will try to find search terms that had the same correlation data as your own data. 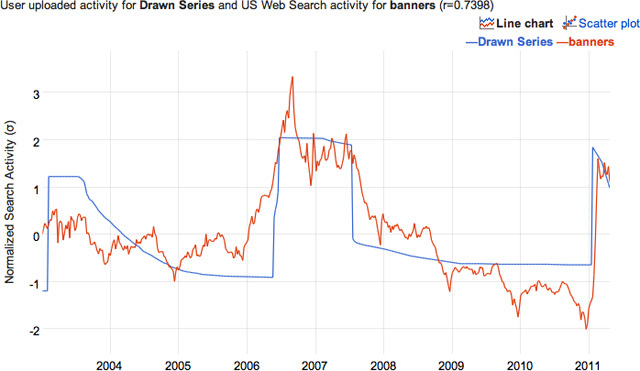 You can even draw your own line chart and Google will show you matches to the spikes and dips of the visual you drew. It is very cool. Before I explain a bit on how search marketers can use it, let me show you examples. Same keyword but by location, guess where most the Jewish population lives within the United States? Don't have a data set available to upload to Google? No worries, just try to draw the data visually and Google will try to match the drawing. Obviously, for search marketers, this is just yet another neat keyword tool. But even more so, let's say you see an unusual pattern over time that repeats itself but you have no idea why. Why not upload the data or draw the trend and see if Google can help you figure it out. You'd be surprised what Google might come up with and even if it is not accurate, maybe you will learn a new trick? 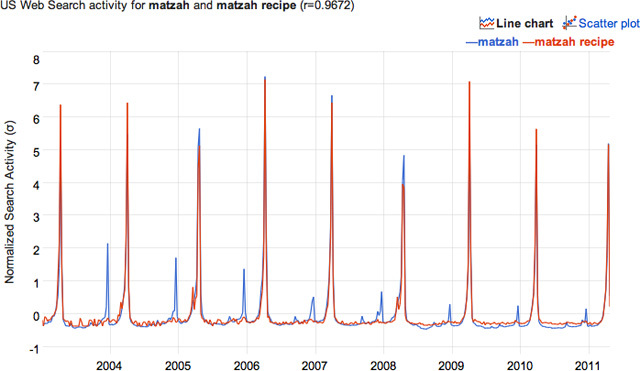 For example, if you clean cars in New York, you may notice a spike prior to Passover. But if you sell car cleaning materials and you might not know it is because Jewish people before Passover clean there cars very well, as to not have any bread in the car. This might help the cleaning product wholesalers learn this little tidbit.